Published: Feb. 19, 2014 at 12:57 p.m. Updated: Feb. 19, 2014 at 06:25 p.m. The St. Louis Rams took a risk on Janoris Jenkins -- and he's compiled 134 tackles and five picks in two seasons. All decision-makers have their moment, where they come to terms with the idea of taking the plunge on a troubled prospect. St. Louis Rams general manager Les Snead's clairvoyance regarding Janoris Jenkins didn't come as a result of the millions of dollars that clubs pour into scouting every year. In fact, Snead didn't even arrive at that point while drawing a paycheck from his current boss. It was a dreary fall day two years ago in Florence, Ala. Terry Bowden, Snead's coach during his playing days at Auburn and the coach of North Alabama at the time, allowed the then-Falcons director of player personnel access to the star-crossed former Florida All-SEC cornerback. By then, Jenkins had been tossed from Gainesville after being arrested on drug charges for the second time in three months. The talent evaluator entered the meeting with preconceived notions, based on mountains of research already done. He left with other ideas. "He just brings life to the room," said Snead, becoming animated as he recounted the day he met with Jenkins. "He tells you everything. You can tell there's a naïveté there. And then you go to practice, and you get this kid, who was at Florida and could've been a No. 1 draft pick, and he's out there in Florence, and he's playing gunner on the punt team, and he's beating everybody. And he's coming back and he's doing it again, just having fun. And you got a sense, he's passionate about football." That, of course, wasn't all that Snead needed to know. But as he continued to do his due diligence, and as he wound up taking charge of the Rams the following February, and as draft day approached, he remembered that trip as the foundation upon which his conviction regarding Jenkins was laid. In short, he followed his gut, selecting Jenkins with the 39th overall pick in the spring of 2012. It's been eight months since Aaron Hernandez was arrested and charged with first-degree murder, but the cautionary tale of the former Patriots tight end is sure to be told in personnel meetings and war rooms for years to come, moving to the forefront at the most visible pre-draft evaluation event, the NFL Scouting Combine. The science of vetting players is, without question, an inexact one. Sometimes, the decision to either roll the dice or steer clear of a player is based on pages and pages of reports, culled over three or four years. Sometimes, word of mouth is enough to either unsettle a decision-maker or assure him that a prospect will turn a corner. And other times, as was the case with Snead and Jenkins, it comes down to a feeling. "The hardest thing we do is try to figure out what's in a man's heart," Seahawks GM John Schneider explained. "In the realm of scouting, the easiest things to do are the evaluations of the guys -- how he plays, what you think his future holds, how high his ceiling is, what his basement is. You can do all the work in the world, you can do every psychological test you possibly can, but at the end of the day, you don't truly know what's in a man's heart or how he's gonna react in a certain situation. "You hope you have a really good feel for that. And hopefully, nine times out of 10, your psychological assessment is correct in how they're gonna handle certain situations. But you don't know." Every veteran evaluator has had his misstep. One general manager recalls a time when he was a scout and went to bat for a prospect who, on the surface, seemed clean to most outside of the major college program he played for. Soon after the team selected him, the player was arrested and jailed for an incident that involved drugs and guns -- an incident that had taken place a month before the draft. The future GM subsequently got a call from a reporter who wanted to know if he'd been fired from the scouting position, leading him to legitimately fear for his job; he wondered if the reporter knew something he didn't, as the miss was a bad one. He ended up avoiding the ax -- and he now uses the story to teach others, telling them how horrible he felt and stressing just how careful everyone needs to be, no matter how clean a prospect might look. 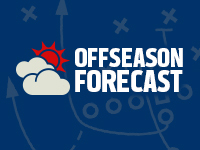 "Who they are and what they do away from football are two of the hardest non-predictors," former Buccaneers GM Mark Dominik said last summer, before his recent ouster. "You try to get all the information you can at the school; we have those 30 visits where you bring them into your building, especially with kids where you're nervous about what they're like or how they're gonna handle their business. 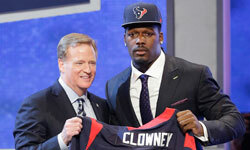 That's one of the mysteries of the NFL, making sure what you think you're gonna get is what you're gonna get." Each step taken by each evaluator is meant to prevent a club from being sold a bill of goods. Seahawks coach Pete Carroll, who gambled on his share of players at USC and continues to do so in Seattle, said, "It's extraordinarily important. We work at that as much as anything we do in evaluating players." So how does a team prevent itself from being -- to borrow the word Patriots owner Robert Kraft used in describing his experience with Hernandez -- "duped"? The truth is, nothing is 100 percent, but the bulk of the work happens at the grassroots level, in the fall and on campuses, as GMs, college scouting directors, national scouts, regional scouts and area scouts dig into who a prospect is. Red flags follow prospects into the spring, when boards are set and plans are executed. Still, there's no question that some slip through the cracks. "I don't believe it's uncommon," said Falcons GM Thomas Dimitroff. "Every year, you're gonna have a handful of players that are gonna have a knack for being coy and getting themselves out of trouble. One of the major black marks next to a name is when someone is perceived as being a con guy. If you're a con guy in this business -- and I use my line all the time, 'everyone's got a pigeonhole' -- but if you're full of crap, you're truly fighting an uphill battle." Every area scout lives in fear. From the 20-something kid trying to make his way as a young evaluator to the grizzled veteran with millions of miles logged on rental cars after countless trips down the highways and backroads of the heartland, so much of the work done is about fighting against the unknown. As one scout put it, when he heard the Hernandez news, "My heart sank. That's the worst nightmare. We're a fraternity. We don't root for others to fail. Instantly, my heart sank for whoever did him coming out." Say the word "scout" and most folks think of a stopwatch, a clipboard and a dark film room. The truth is that these days, that all represents just a percentage of the job. One GM estimated that those positions are now 50-50 in terms of doing work on the player vs. the person. The area scout goes further, saying that character assessment "is at least 50 percent of our job." It starts at the schools. Big-time programs often have a liaison whose job is dedicated to managing pro scouts. That person, in most cases, will provide generic background information on a player: his hometown, family and personality. Some are instructed to protect the prospects. Others are a bit more open. Few offer much beyond the surface basics that you'd see on a bio sheet. "You gotta be sure he's gonna mature into the right person." -- Marvin Lewis, Bengals coach. From there, it's up to the scout to develop relationships within a school's coaching staff. Sometimes, the wet-behind-the-ears assistant is the key, because he's still young enough to be out in social settings with the players. In other cases, identifying the ambitious rising coordinator or position coach can be big, because those guys are trying to connect themselves with NFL people. And it's different everywhere. Some places -- Joe Paterno's Penn State was notorious in this regard -- are icy to scouts, forcing personnel folks to earn their paychecks, because the coach believes the program only benefits when players are drafted as highly as possible. Other places -- like Nick Saban's Alabama -- roll out the red carpet for the NFL people. These programs operate under the assumption that pro teams will dig up the information regardless, so fostering a positive relationship takes precedence. That, of course, is just the start. "The expectation is that we know that we've created sources that will tell us as much as we can possibly know about the kid," Schneider said. "You're expected to be the expert in your area." It can mean knowing a player's high school coach or his elementary school principal. If you're the Southeast area scout, it has to mean having places like Baton Rouge wired. If you're assigned to the Midwest, it's knowing all the ins and outs of spots like Columbus, down to the academic advisors and the trainers and sometimes even the local police. The truth isn't always easy to come by. Getting there is what counts. Every club has its own lines. Some of them are common. Most teams take a strong stance against violence toward women. Many have a similar boundary when messing around with drugs crosses into dealing them, or when drug use goes beyond marijuana. And all teams are protective of where their lines are drawn. "See, that's where I don't want to go," Schneider said. Rams coach Jeff Fisher echoed that, saying, "I can't go there, competitively." What we know is that, for each club, the lines exist, and that figuring out where a prospect sits with respect to those lines can be a complicated process. But the lines are clear internally, and usually marked by one experience or another. Consider how the Bengals' process has been shaped by the substance-abuse issues of 2005 second-round pick Odell Thurman. "I've been around four, five guys in 33 years of coaching that had different issues, and until you're around a guy that has a real issue, like a substance-abuse issue, you don't ever understand what that means," Cincinnati coach Marvin Lewis said. "It's like any other illness, it's like any other illness -- they cannot overcome it. ... Odell is one of the guys I've been around like that; I've been around three or four others like that." The Falcons, as an example, have two designations for players on the precipice. A player earning a skull-and-crossbones is off the board completely -- and there are a handful of those each year. Many more players get a skull-and-crossbones "plus" notation, which keeps a player in the game for more research through the fall. With some players, teams will advance to the stage of putting their security directors, who are often retired federal agents, on the case, dispatching them to the college cities and hometowns of prospects for further research. The security directors will do things like hit up the area bars and coffee shops to gather local perception and use law enforcement connections to siphon information. Later in the process, the heads of security are often a big part of clubs' draft meetings as players are discussed. The challenge is that teams are asking scouts to hit a continually moving target in terms of their professional objectives. 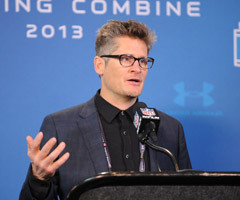 Dimitroff said that some older guys bristle at the idea that the job has become equal parts private investigator and football evaluator, with the shifting nature of what constitutes a red flag only adding to the complexity. "We (used to) look at individuals and say, 'Man, this cat is a tough hombre. He got into five bar fights, he got pulled in by the cops. The cops couldn't even cuff him because he fought them all off -- what a tough S.O.B.! He'd be great along our D-line!' " Dimitroff said. "Nowadays, we would avoid that individual. We want toughness, but it was very different back then. "And some of the things that were perceived as character issues back then -- piercings, tattoos, long hair -- were all twisted and mixed in and used as benchmarks on if someone's affiliated with gangs or for their sexual orientation. That was the old-school discussion. And now, some of the best and most religious and spiritually sound individuals are labeled with tattoos beyond anyone else. And those are little things." As if assessing what a person is isn't difficult enough, trying to figure out what he will become two or three or 12 years down the line is even tougher. Every coach has a different idea as to how much he's capable of helping a young player grow. Fisher, for one, believes he and his staff can steer a prospect toward the right path, and the Rams' willingness to take risks over the past two drafts is clear evidence of that. This also explains why St. Louis has backstopped its gambles with a big investment in player development. During the 2013 offseason, Fisher arranged for a Brinks truck to come to the facility, armed guards and all, and had $1 million placed on a table. From there, he created a stirring visual, moving cash off the table for taxes, draft-training reimbursement and living expenses, to show each guy how little would be left to live off of after the essentials were accounted for. 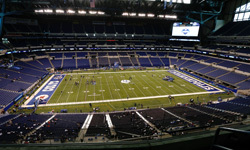 The Rams also held a reception for their rookies with other young, upwardly mobile professionals in the St. Louis area. It was part of an attempt to align players with successful people of their age in other fields and give players a social outlet outside the often shaky from-back-home influences. When Fisher looks at how the position he's in, as head coach, has evolved, he concedes that he spends far more time developing people -- rather than players -- than he used to. "I've often said that when I first started as a head coach, 80 percent of your time, or thereabouts, was X's and O's," Fisher said. "And now there are days and periods of time where that's flipped, where 80 percent of your time winds up being those other things, because my responsibility, in addition to a lot of other things, my ultimate responsibility is to make sure that the players are physically, mentally and emotionally right when they either step on the practice field or play on Sunday." Fisher said the research he relies on shows that the at-risk prospects drafted are most vulnerable in their first offseason, when they're given more than a dozen weeks of idle time. He added that he believes having a non-football life-skills weekend with rookies immediately following their inaugural season would be beneficial, though it would have to be collectively bargained. His experience over two decades as a head coach tells him that there is plenty of hope for those who enter the league with a rap sheet. He's seen success stories. "I wouldn't name them, but there are a lot of them," he said. "The thing that's the common thread is that they got dangerously close to having things be over, and changed the lifestyle and maybe played another eight years." Carroll is another coach who sees things like Fisher does -- "It isn't fish or cut bait, it ain't like that; we're gonna give guys chances" -- and he has had his share of positive experiences with that philosophy, both at the college and NFL level, over the years. The way Carroll sees it, he's not gambling on what a prospect is; he's banking on what he can be. "We try to assess, what can this individual be? And then we try to help them become that," Carroll said. "That's what we do. Do we help? Forever. We work forever with our guys. That's it. It's not a blind belief that we can change everybody. That's just the way we do it. Whoever comes in this program, we're gonna try and figure out who they are, and help them understand what they can become, and then hold them to that, until they do it. That's how we run our entire program." Everyone sees different things as indicators that a prospect will make it. And those things change over the years. Lewis admits now that a permissive boys-will-be-boys culture hurt his early Bengals teams, and that was fueled by a talent-alone draft philosophy. The coach resolved that he had to be sure -- sure -- that the players he drafted or acquired had the capability to grow into the men he needed them to be. That didn't mean the Bengals could no longer take chances, but it did mean being more selective. "You gotta be sure he's gonna mature into the right person," Lewis said. "Or, in the case of Adam Jones, he was lower than whale (excrement), and he had no place to go but up, because he'd just blown everything up that he knew. Adam pleaded for an opportunity. He begged for an opportunity. And for the most part, he's made good on it; he's changed his life around." Jones did have two run-ins with the law last year, being arrested on an assault charge in June (he was found not guilty in October) and cited for disorderly conduct in September. And the principle Lewis applied with his veteran corner is an often-practiced one in the NFL: If the player cares enough about football, having his playing mortality dangled in front of him can prove powerful. Likewise, Snead said two of the Rams' no-no's now are those who are unmotivated or bad teammates. The need -- not want -- to make it is vital in all these cases. Otherwise, it's too easy to slip back into the abyss. "The most important characteristic is grit," Carroll said. "That's the most crucial characteristic that helps somebody be successful. If they continue to hang, continue to fight -- and that's the competitiveness we're looking for -- there's always a chance they can pull it together. If you do a little homework, read up on what grit is all about, it's about persistence and resiliency, and an inner strength and belief you can get it done. That's what's most important. If guys don't have that, you can only take them so far." Every team has a player or two it has to keep an eye on. The Patriots, six weeks before Hernandez was lost, signed undrafted free agent Kenbrell Thompkins, who came out of the University of Cincinnati with a slew of issues, both relating to football and to personal character, that caused him to go unselected through seven rounds. As a rookie, Thompkins caught 32 balls for 466 yards and four touchdowns -- seemingly making him the same kind of steal everyone thought New England once had with its jailed former tight end. It remains to be seen how much the post-Hernandez Patriots change their ways going forward, but what's really interesting is that, for as many risks as they seem to have taken, those who've been around Foxborough don't see the Pats' standards as being any more flexible than anyone else's. "What we did in New England with Scott (Pioli) and Bill (Belichick), and the importance of stressing character when I was there, it was at the top of our charts," said Dimitroff, who served as the Patriots' college scouting director before being named Atlanta's GM -- and who has since added Pioli to his staff with the Falcons. "I respect Bill and Scott a great deal for how they helped form me and my opinions on how I wanted to run the football side of an organization, and it had a lot to do with how Bill and Scott assessed personalities and character over the years." Part of the process Dimitroff learned there involved digging into every crevice of a potential prospect's past. Consider the case of receiver Mike Williams. Before the Bucs picked him in the fourth round of the 2010 NFL Draft, Dominik dispatched his area scout to Buffalo to find the talented-but-troubled Syracuse receiver's kindergarten teacher. No detail was too small. What Tampa was looking for, as much as anything, was a feel for what was at the core of the player, and that educator, the thought went, would give the scout a good sampling of that. The club found that most everyone who'd encountered Williams was rooting hard for him, which is generally a good sign. And he went on to play well for the Bucs, notching 23 touchdowns on his way to the six-year, $40.25 million contract he signed last summer, before sustaining a season-ending hamstring injury in the fall. But even that one's tricky. Later this month, Williams faces an arraignment hearing on misdemeanor charges of criminal mischief and trespassing stemming from an unspecified incident in December. And even beyond that issue, there's this to consider: Had the Bucs not taken Williams with the 101st pick, they might have selected Hernandez, who went 12 picks later and remained on Tampa Bay's board. With every chance taken, a team holds its breath, praying to the football gods that not only is the player they gambled on determined to get it right, but also that he remains that way. "The evaluation period never stops," Schneider said. "If you feel like you have enough to offer them, to help them once they're in your building to continue to grow as men, then you're OK. But if you're not quite sure, you're taking a risk, and it's 50-50 on whether or not a guy is gonna be able to adapt to what you have going on. So are you gonna get buy-in from the guy?" Every organization, at one time or another, has asked itself that question. The answer, as the Hernandez case proves, is never that easy to come by.